Hello all!!! I have definitely been M.I.A for the last couple of weeks. In all honesty, it has been a mixture of writer's block & being too busy/finding time to write. I was going to share this recipe in February but I did my disappear so, I am going to share it now. Beside chicken salad, you get to choose two others items that include pimento cheese, fruit salad, tomato & cucumber salad, & pasta salad. 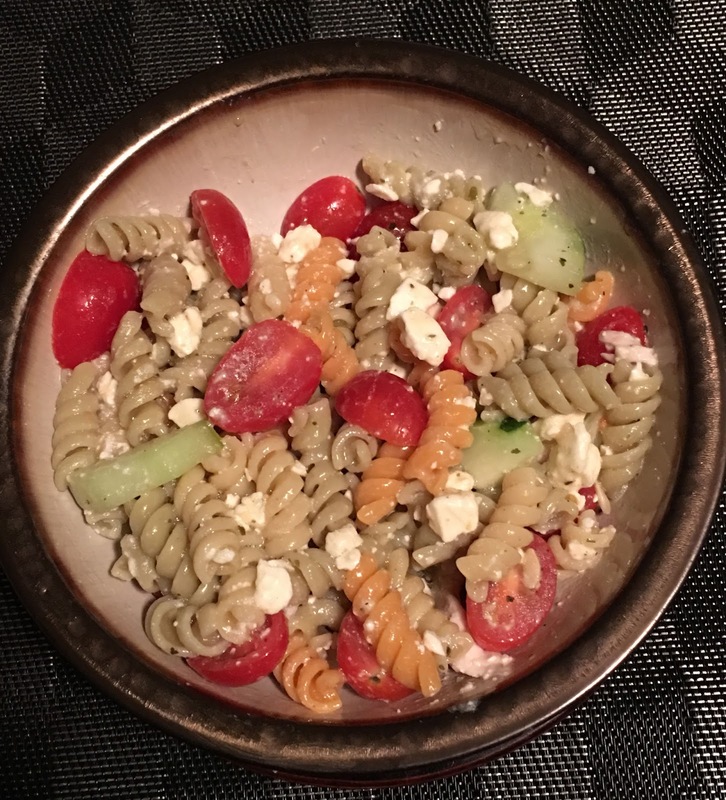 I decided that I would try making the pasta salad since it seemed so easy & is pretty healthy. I did add my own twist to it as I always do. -Cook pasta according to box instructions (I cooked mine for 10-12 minutes). -While the pasta is cooking, wash & cut tomatoes in half then the cucumbers into fourths. -When the pasta is done, drain the pasta. Then, run pasta under cold water to cool. -Once the pasta is cold, add vegetables, spices, cheese, & dressing ( I used 1/3 cup) into bowl, tossing to mix. 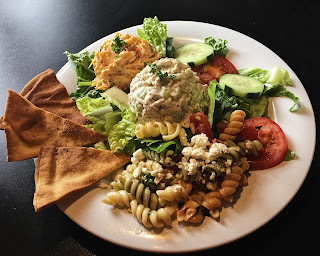 I have been trying some different things with is such as changing out cheeses, adding meat, and dressings. Which brings me to the new Wishbone EVOO dressing. I would highly suggest trying it if you have not yet. I have given up cream dressing for lent so I have been trying to find new options. I like this one because you can taste all the spices & flavors in it along with it being super light. This would be a great dressing for marinating chicken in or in other cold salads. Peace & blessing, all & here's to the start of a great week!!! This is my opinion of the Wishbone EVOO dressing. I did not receive any compensation for my opinion.